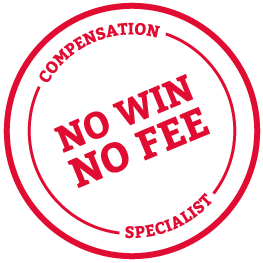 Our client was working as a delivery driver when he was involved in a road traffic accident on 17 November 2016. He was driving his company vehicle in East Kilbride. He came to a stop at a junction at the end of Maxwellton Road and waited to turn into Calderwood road. The third-party vehicle was coming down Calderwood Road and began to turn left into the junction our client was waiting at. However, the third-party driver lost control of their vehicle and collided head-on with our client's van. After the accident, the third-party driver told our client that he'd lost control because the accelerator had jammed. He added that he didn't own the vehicle he was driving and so was unfamiliar with it (his car was being repaired at a garage). The front of our client's company vehicle was badly damaged in the collision, and the radiator was cracked. More serious, however, were the injuries that the delivery driver sustained. Our client had to attend the minor injuries unit at Victoria Glasgow Hospital. The impact from the accident had caused him to suffer a whiplash injury. He felt pain in his shoulders and the back of his neck. Our client had annual leave booked straight after the accident, so he didn't have to take any further time off work. However, his holiday was ruined by his injuries. He was also unable to enjoy his hobby of playing football once a week. Our client was able to instruct Thompsons' road traffic accident solicitors through his union, Usdaw. We took on his case in November 2016 and intimated a claim to the third-party insurers. To help us achieve a fair settlement for our client, we obtained a supportive medical report on his injuries, which was sent to the insurers. However, we redirected the claim to a different insurer when further investigations revealed that the third-party driver was using the vehicle under a "driving other cars" extension. They admitted liability and put forward an offer of £3,225.00. We discussed this offer with our client, who felt it was reasonable and instructed us to accept it, settling the case on 1 August 2017.